What Happens in Our Brains When We Read? Reading is not natural, but for so many of us, the pieces fall into place and we do it automatically. Humans have evolved to read and it’s crucial to everyday life, but reading delay can happen to anyone. Is linked to longer life spans. Researchers from Emory University in the US have found the brain changes for at least a few days after you read a novel. At different stages, while study participants read the novel ‘Pompeii’ they underwent fMRI scans of their brain in non-reading, resting state. The scans showed “heightened connectivity in the left temporal cortex”, which is linked to language receptivity. The researchers also saw more connectivity in the brain’s central sulcus, the main sensory motor region. That’s where your brain can activate neurons for the physical act of running by just thinking about … running. Burns said: “The neural changes that we found associated with physical sensation and movement systems suggest that reading a novel can transport you into the body of the protagonist. His team found changes in the brain last for up to five days after the participants finished reading the novel. So, how do we acquire this skill of reading and what happens in and to the brain as we read? A drone equipped with an MRI hovering above your head while you read will see many processes running simultaneously. Think word analysis, sound detection, vocalization and visualization. 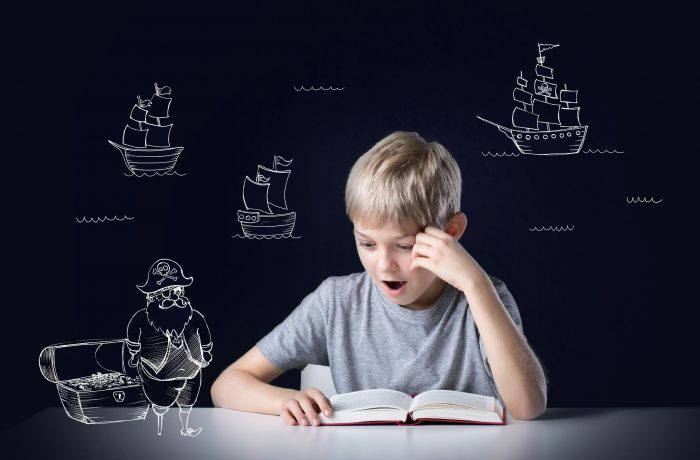 A researcher at the University of Queensland’s Centre for Clinical Research (Australia), Nicola Bell, says there’s no “reading center” that magically forms in the brain. “Instead, a network of connections develops to link existing areas that weren’t previously linked. Reading becomes a way of accessing language by sight, which means it builds on architecture that is already used for recognizing visual patterns and understanding spoken language,” she says. That’s a lot to take in – time to break it down. As infants we first learnt to process sounds, manipulate language sounds to make words, then read single words to build our comprehension – including sight words – before we could read fluently, says Associate Professor Nadine Gaab of Harvard Medical School. “[The child] has to decode words, she has to have the vocabulary once she decodes the words, she has to know the meaning of the words, and she has to read fluently so that she can comprehend a whole paragraph,” she says. For this to happen, the various parts of the brain come into play. There’s the temporal lobe, where we develop awareness of speech sounds to then decode and discriminate them; Broca’s area in the frontal lobe, meanwhile, regulation producing speech and comprehending language; and the angular and supramarginal gyrus work to link different brain parts so the shape of letters can form words. Gaab adds that white matter – nerve fiber collections in the brain – creates important pathways to help in reading, much like a highway from the back to the front of the brain. But, it has to be smooth, without traffic lights, as such, to work properly. You’ll find bottlenecks in these tracts of white matter in children with dyslexia. Meanwhile, Bell gives us an insight into how a competent reader processes written language. When they recognize a word by sight, they actually process the letters in a word, rather than the word’s shape. “Literacy instruction can, therefore, support children’s learning by highlighting the symbolic nature of letters – in other words, by drawing attention to the relationships between letters and speech sounds,” she says. Listening to stories helps get your brain into gear for reading – at any age. When you hear a narrative, experiential parts of your brain come alive as well as the parts involved in language processing. That’s according to the Open Education Database and this New York Times article. They say audio books, personal stories and gossip are all part of the course here for priming your mind for a good read. The website Buffer says metaphors such as “the singer had a velvet voice” or “he had leathery hands” coax the sensory cortex to life, while “John grasped the object” or “Pablo kicked the ball” both kick start the activity in the motor cortex. Neuroscience has a lot to offer not just in helping explain brain activity while reading, but its benefits and insights into the crucial pieces that need to fall into place for those learning this important skill. So, when a child struggles to learn to read in their classroom, year after year, it’s not for want of their parents and teachers trying to help them plus other pull-in support services. Nor is it necessarily because they haven’t been read aloud to often enough. These children – and later adults – may well need a different type of program. They may need one that neuroscientists have designed. Gemm Learning has research-based proven learning interventions that tick the box here. We can help you identify whether your child’s reading delay is a temporary glitch or disability. Then we can match them with the best online self-paced program to pick up the pieces and get going on their journey to becoming a successful reader. By just investing half an hour a day for up to five days a week, most Gemm Learning students achieve one to two years’ reading gain in just four to six months. Find out more here.